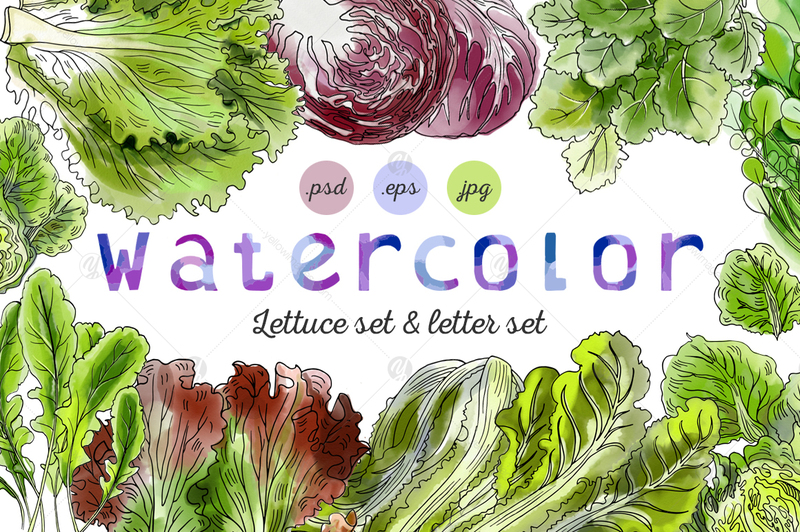 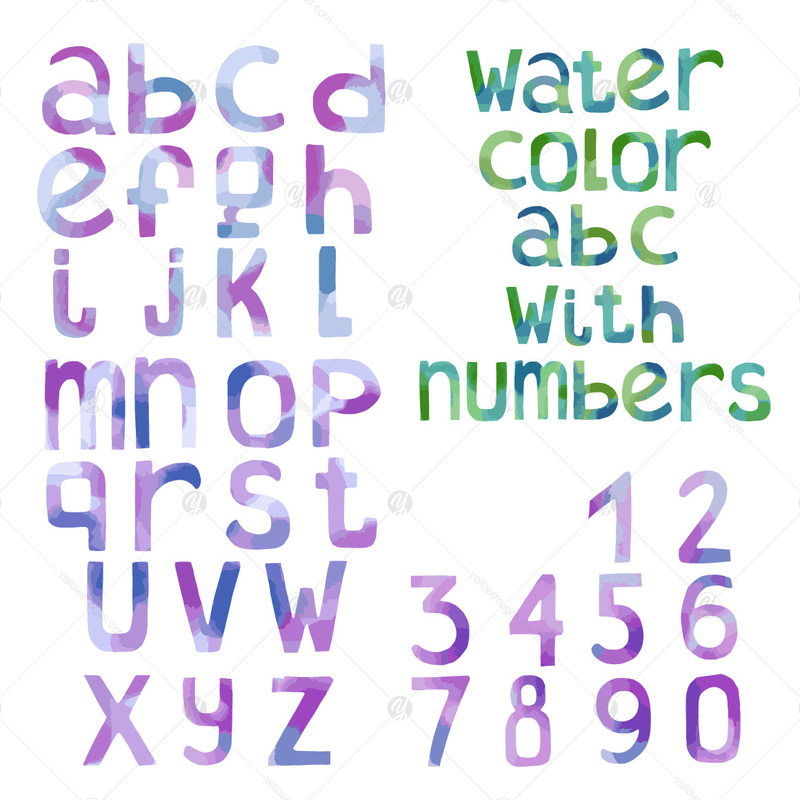 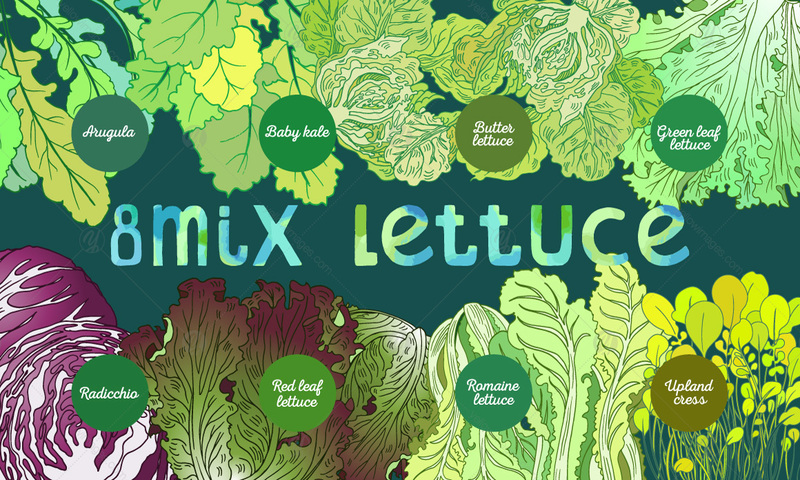 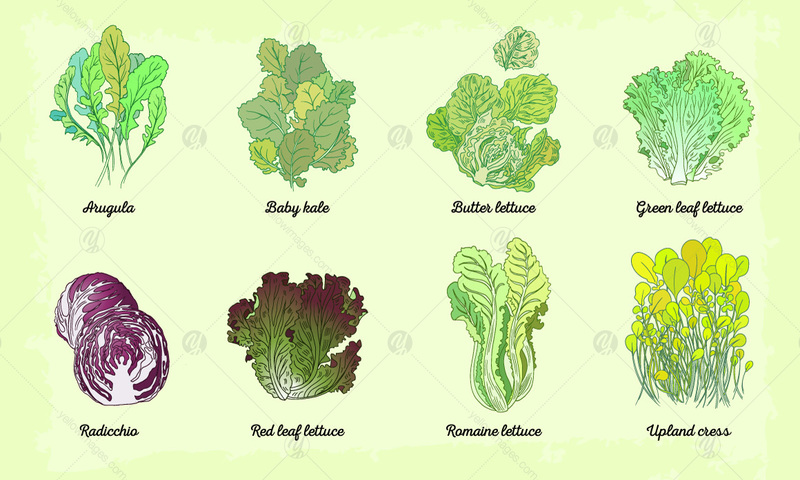 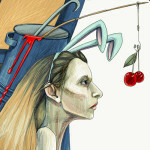 Colored watercolor illustrations on white background with several lettuce types. 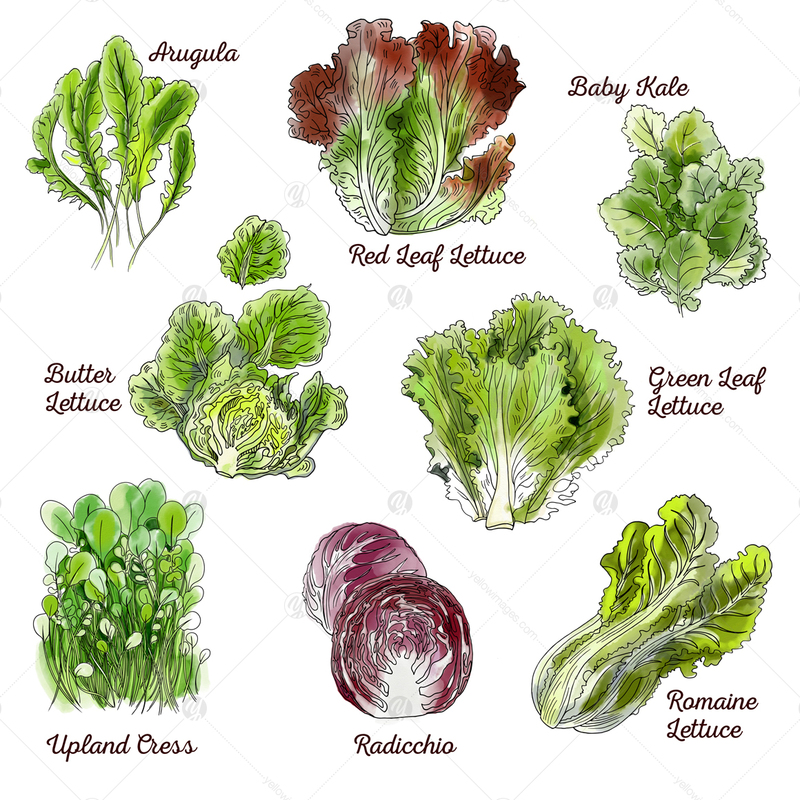 There are romaine lettuce, arugula, baby kale, butter letucce, green leaf letucce, radicchio, red leaf lettuce, upland cress in the set. 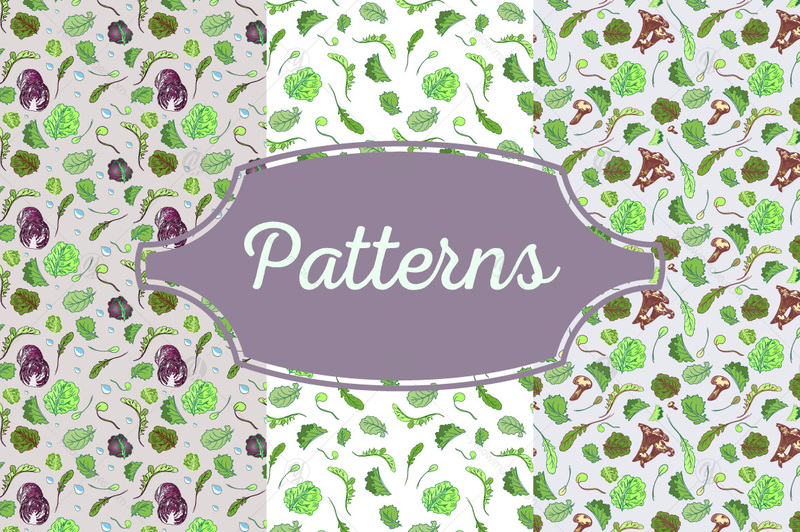 Also three patterns, one with mushroom.